Although UCF is officially closed from November 22nd-25th, 2018, not all students will be going home for the holiday. Flights can be incredibly expensive around this time. Some students may have to work and others may go home with a local friend for a little turkey dinner. Perhaps, instead, you’ve decided to switch things around a bit and this year go to Orlando for Thanksgiving. Whichever way it works out; there is plenty to do if you are going to be at UCF for Thanksgiving this year. Seasons 52 – It is about a 30-minute drive to Altamonte Springs, but the food is delightful. Indulge in their traditional Thanksgiving dinner with all the trimmings, but leave room for Pumpkin Pie Mini Indulgence. Now accepting reservations. Andretti Grill at Andretti Indoor Karting & Games – will have special Thanksgiving food and beverages, while broadcasting the day’s football action on more than 100 high-definition televisions. It certainly will be different and probably a lot of fun. Boston Market – Go casual. They even have pick-up and delivery options. Gaylord Palms Hotel – has a Thanksgiving brunch starting at 10:30 am. Bahama Breeze- Thanksgiving dinner, reservations can make be made online. 310 – Reservations at one of their 3 locations, Lakeside, Nona and Park South can be made online. Buca Di Peppo – also has catering available. They open at 11. Reservations or orders can be made online for a traditional Thanksgiving meal. Peach Valley Café – Serving traditional Thanksgiving dinner. Rosen Plaza Thanksgiving – traditional meal hosted in the Rosen Plaza Grand Ballroom. Call to make a reservation. Seriously, check out the menu; it is incredible. 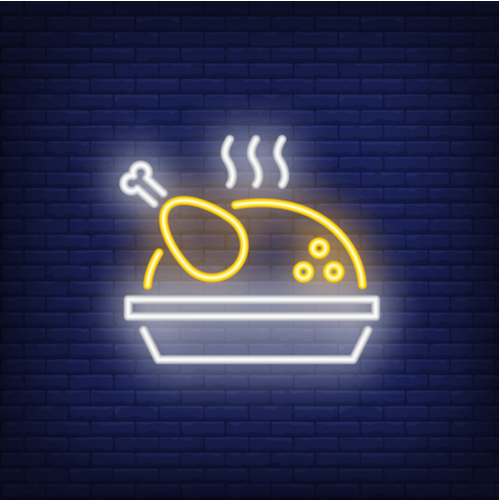 TooJays – has a traditional turkey dinner for $13.99 per person or a carved turkey (with no sides) in three different sizes, small ($55.99) feeds 6-8 people, medium ($69.99) serves 10-12 people, and large ($114.99) serves 18-20 people or a carved turkey dinner feast which includes a turkey and sides in three different size options – small ($99.99) feeds 6-8 people, medium ($139.99) serves 10-12 people, and large ($219.99) serves 18-20 people. They also have a ham that’s 7-9 lbs for $40 and dessert options and side dishes that are per pound. Place orders by Monday, November 19 at TooJays.com. Have dinner at one of the Disney resorts. For instance, you might like Thanksgiving dinner under the sea at the Coral Reef in Epcot or in the Colonial-themed Liberty Tree Tavern. There are many others, but my choice would, of course, be at Cinderella’s Royal Table in the Magic Kingdom. Whichever you choose; make reservations early. You don’t have to be a resort guest to dine there. If a long dinner doesn’t appeal to you, grab a turkey leg at one of the parks and keep going. For a list of other restaurants offering Thanksgiving menus, click here. UCF is also hosting a Friendsgiving at UCF in the Neptune Multipurpose Room from 12-2 for students who will still be on campus. Check it out here. RSVP by November 2nd. Or maybe your student will plan a Friendsgiving with some of their friends who decided to stay at UCF. Cooking a turkey meal is ambitious so don’t be surprised if they call home to have mom help them out (or they can call 1-800-Butterball). Have each person make a dish or order your turkey and sides from Publix, Lucky’s Market, The Fresh Market or Whole Foods and decorate the table (Pinterest has some great suggestions for decorating on a budget). They can grab some great disposable tableware at Party City, making clean up a breeze! Many parents in the Orlando area open their homes up to UCF students for Thanksgiving. Check the Facebook UCF parents page to find postings. With the track record, the Knights have going, you may want to take a drive to Tampa to catch the Knights vs Bulls game. It is a traditional Black Friday rivalry (forget shopping for this game). It is sure to be exciting! The parks will undoubtedly be less crowded than most any other day of the year, except perhaps Christmas. Most will be decorated for the holidays already. It is still a great day to take advantage of FastPass, single rider lines and the rider switch program so you can get in as much as possible. The Magic Kingdom doesn’t just have a Thanksgiving Day parade; they have the Thanksgiving Parade of Bands or the Festival of Fantasy Parade. Epcot celebrates at this time of year with their International Festival of the Holidays. It is also the first day of the Candlelight Processional with a storyteller, choir and 50-piece orchestra. Perhaps you prefer to spend your Thanksgiving giving back to the community. There are many organizations, churches and synagogues, and homeless shelters that would be happy to have your help. If you are affiliated with a religious organization in Orlando, you may want to start by asking if they have any plans; if not, perhaps you would like to read our blog about local places of worship. My family and I have delivered meals quite a few times on Thanksgiving and I assure you the feeling we walked away with was fantastic. Hands On Orlando is looking for volunteers to help prepare and serve Thanksgiving dinner to a group of homeless men at the Central Care Mission. Central Florida Thanksgiving Basket Brigade – Friends Feeding Friends – Volunteer to contribute and delivered Thanksgiving meal baskets to families in need. The Salvation Army in Orlando – Volunteers are needed to serve on Thanksgiving Day for various shifts between 9:30 a.m. to 6 p.m.
School is officially closed, but the housing communities will not be closing for Thanksgiving. If your student will be staying on campus, and has a meal plan, they can contact Dining Services for more information about what areas are would be open during the holidays, but as of right now they have announced that they are closed from November 22nd-24th. If your student does decide to head home, during Thanksgiving, winter break and spring break, UCF provides a free shuttle service, Knight Flight, which takes students from UCF to the Orlando Airport and back to UCF after the holidays. Register early here.